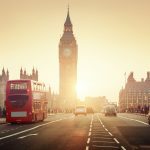 Recruiting | Application Solution Providers, Inc.
Is Brexit an Opportunity to Reform Immigration for Skilled Workers? In 2010, David Cameron pledged to reduce net migration in the UK to tens of thousands. This was always going to be impossible with the freedom of movement from the European Union. In order to meet their pledge to the electorate, Cameron and Theresa May dutifully reformed the immigration system for non-EU foreigners, notably doing away with the Tier 1 (General) visa for highly skilled workers and the Tier 1 (post-study) visa for those who had earned a higher education degree in the UK. The effect of this immigration reform has been increased complexity and cost for skilled workers coming to the UK. Many of them have just chosen not to come. Every position needs to have a strategy on how the position will be sourced and filled. There are multiple factors to consider such as your budget and timeline. The question remains for your position, which methodology will be cost effective and fast. I wasn’t wrong in my second piece of commentary. Snapchat was later hacked, multiple times. The worst of which (now called “The Snappening”) happened in October 2014, when 98,000 photo and video files sent by Snapchat users were leaked online. Since then, Snapchat has taken strides to increase security and become a better advocate for its users. There you are one day, staring at a req for a specialist of this sort or that with a salary of “up to $700″ a week. The list of required skills includes everything but fluency in Greek; the hours are somewhere between 40 and 24/7, the team is too small for the work, and the boss is so hands off he comes out of his office only to get coffee. Garbage collectors make more than your hiring manager wants to pay and they have better hours. Plus they get to keep all the deposit bottles and cans. How in the world, you wonder, are you ever going to recruit anyone, let alone that A talent you hear people talk about at conferences? I recently watched the new Avengers movie Age of Ultron. The plot has more holes in it than a North Dakota oilfield and the story is little more than one scene after another of things been blown up or knocked down, but that’s to be expected. Not many would pay to watch it if the movie featured the Avengers in a sequel to Dinner with Schmucks. Ultron looks like the child of C3-PO and Yoda and uses artificial intelligence to threaten humanity. This represents the worst fears of Bill Gates, Stephen Hawking, and Elon Musk — all of whom have publicly said that artificial intelligence could spell the end of humanity. That remains to be seen, but the more immediate threat to many is the end of their jobs from automation and robots. Hiring managers are a key driver of the talent.experience – how engaged they are in the process has a critical impact on quality of hire and retention. Bersin by Deloitte research revealed that developing strong relationships with hiring managers is the top driver of talent acquisition performance and four times more influential than all the other 15 performance drivers measured. Yet, our relationship with the hiring manager has been fraught. We talk about them either as “friend or foe” and refer to working with them as if “herding cats.” Recruiting thought leader Bill Boorman recently described this phenomenon as The Hiring Manager Conundrum. No wonder the relationship with the hiring manager ranks fourth among all the things that keep talent acquisition professionals and leaders up at night according to an ERE study. Maybe it’s time we tried on a different perspective. What if we viewed the hiring manager as a customer? How could we create a better hiring manager experience? HR and business leaders who haven’t operated within a recruitment model that includes dedicated recruiters or sourcing roles often undervalue the concept of critical talent sourcing or pipeline sourcing. As opposed to full life cycle recruiters (see definitions below) who handle the end-to-end recruitment process, sourcing recruiters are expert researchers focused on finding and cultivating relationships with talent. While the two roles are quite different, it’s easy to make the mistake of equating them, and therefore measure and motivate sourcers’ performance and activity in the same manner as a full-life cycle recruiter – on hires. 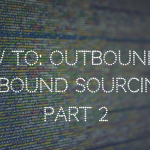 The bottom line: few people in HR understand how to manage sourcers to fully capture the potential positive impact sourcing has on lowering the costs of future hiring and cycle time to hire. Eight short questions, eight short answers. The questions, most of them legal, are below. The answers and explanations will provided to you for my hourly fee, payable in full within seven days of today. Just kidding! Answers will be in the ERE Daily newsletter (sign up free if you haven’t) next week. They won’t be online for non-subscribers. This is based on my experience with tens of thousands of situations. You may not agree with all my answers. But, hopefully, if nothing else, some of the questions and answers will spark your thinking. Dice Holdings, operator of multiple niche job boards, changes leaders next week, when current CFO Michael Durney takes over as CEO and president. Chairman, CEO, and President Scot Melland steps down September 30 after a dozen years in the top company job. He will stay on as a company director. Both Durney and Melland have overseen the growth of well-known tech career site Dice.com into the eponymous public company that today owns niche sites in energy, finance, and healthcare, as well as operating ClearanceJobs.com for jobs requiring security clearances, and tech networking and collaboration site Slashdot and code-sharing site SourceForge, among others. With so much recruiting attention focused on social networking, it’s a challenging time for job boards. LinkedIn has become the darling of the recruiting industry; its stock price soaring to nearly $250 a share, while Monster struggles to keep from falling below $4 a share. Dice, too, hasn’t been spared the fallout. Its stock which soared above $18 two years ago, has been trading at less than half that. Yet Durney, who took on operational responsibility for some of Dice’s newest acquisition just over six months ago, is optimistic about the future of the company and job boards generally. In an email Q&A, he credits LinkedIn for helping grow online recruiting budgets, and sees Open Web as a powerful new talent search tool that will be rolling out to much of the Dice family in the coming months. They say a picture is worth a thousand words. Maybe its worth a few hires as well. Jim Stroud, Director of Sourcing and Social Strategy for Bernard Hodes Group, LLC will explore the possibilities of how online photos can be leveraged for a recruitment and sourcing advantage. In a 1-hour webinar, Jim Stroud will explore reasons why photos are increasingly relevant to a sourcing strategy, give a high-level view of how photos can be leveraged to find passive candidates and low-level tactics that you can put to immediate use. Why photos are increasingly relevant to your sourcing strategy. If you have a smartphone and more than a few reqs to fill, you do not want to miss this event.